Getting and staying motivated as a professional graphic designer is no small feat. Creativity wells run dry, and you could swear that sometimes the pencil just isn’t working right. The motivation myth is that creativity can only happen if you’re feeling motivated or inspired. Unfortunately believing this myth will actually compound the problem. There’s no such thing as being magically motivated to start creating. Creative sparks don’t happen in a vacuum. Just like an actual spark, the creative spark requires an object and something interacting with that object to create the spark. Time and again I find myself reverting to waiting to have direction or be magically inspired before I start on any given creative project. Yes, even I, the design process nazi sometimes forget that inspiration and motivation don’t come spontaneously. There are definitely some tangible things that we can talk about in another post (like a workspace, tools, and who you surround yourself with) that can help you with your motivation, but the most important things about getting motivated are all in your head. There are a few things I would like to share with you on combatting the motivation myth. 1) Don’t wait for motivation. Recently I had a client project waiting on me, my sketchbook just staring at me. It’s not a tedious project, or an un-exciting project. It’s a poster project for a theatre-one of my absolute favorite things to design is posters. However, due to the scope of the project, I had been putting off starting it because I wasn’t feeling inspired and therefore I wasn’t motivated. So, I finally sucked it up and having already done a creative brief, I got out my trusty pencil and sketchbook and started my mind mapping. Halfway through five mind maps, I was still feeling unmotivated and lacking direction, it felt so forced- but I kept on working. I kept trying to remember that I need to to follow my own advice and trust the process. I’m not sure why but I was surprised to find that I came to a great concept after I was finished with my mind maps. I proved to myself that my process worked, even when it was forced, and then I was newly energized to create. Start the process and the motivation will follow. That’s the thing about ideas and being creative, it’s not like a river that is constantly flowing and all you have to do is dip in your coffee mug, drink up the creative juice and make something spectacular. It’s more like an ocean with waves and you have to choose to get out your surfboard actually get out and ride the waves. They come and go and chances are that you won’t stay on that wave for long, and you’ll probably crash on some bad ideas but as long as you keep on getting out there you’ll find the perfect wave for you. As a side note, I’ve never been surfing, but the point is that you can’t expect your ideas to come to you, you have to go out and get them. 2) Procrastination is a trap. 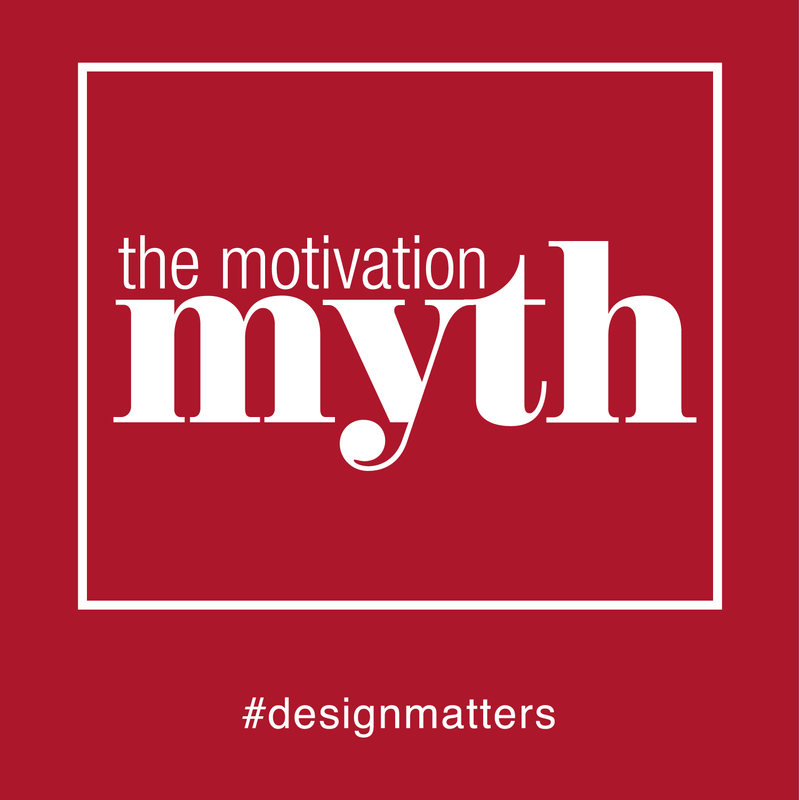 The myth of procrastination when it comes to creativity and graphic design is that you can fool yourself into thinking that if i just wait, it will save me time because I’m bound to think of a great idea if I sit here long enough. But if you are waiting for some burst of creative genius to spurn you to get off Facebook and start working-you never will. Procrastination breeds procrastination and the only way to get motivated when you’re not “feeling creative” is to decide to actually do something. As hard to believe as it is, you actually can be creative without feeling creative. Much like love, creativity is a choice, you have to choose to be creative, you need to decide in your own mind that you will be creative, and the feelings of excitement and motivation will follow. Decision and action beats out procrastination every time. You just have to start. Start the process, start your process; whatever that is for you-just start. 3) Motivation to be creative takes practice. Practice doing creative things, even when you don’t feel creative. The ability to be creative is not a magical quality that some of us are born with and others aren’t. I feel like every person who has ever existed has had creative ideas. But acting on those ideas and practicing at them is where the magic does happen. Everyone has ideas and is creative, the problems come when we are being paid to be creative and it feels forced. But by choosing to start our creative processes, especially with a creative brief or mind map (wink, wink), you are honing a skill that will serve you long into your creative career. You make your own magic when you choose to act on your creative ideas. As graphic designer’s we need to stop getting discouraged when we have to work for our ideas. The best ideas in my opinion are those that are planned out, researched, I’m back by some sort of logic. These kinds of ideas don’t come by osmosis -they come with work. It’s all a matter of perspective, if you decide to start something, you have to also decide to keep starting, until you get to the idea that is worth finishing. Don’t be fooled by the motivation myth when it comes to your creativity. Make your own motivation, choose it, then do something. Too many people sit around waiting for success, or ideas, or the perfect life to come to them. Don’t be like them, make choices and make great work, make your own design magic. Choosing to work while everyone else is sitting around will only give you more confidence to continue to keep getting up and working at being the best creative that you can be. Design is a wonderful world, I hope you’ll join me here. Because design matters.